A great way to see Stanley Park is to take a private tour. There are many tour companies that will arrange for a private tour of Stanley Park. These are a few that we recommend. We highly recommend A.E. 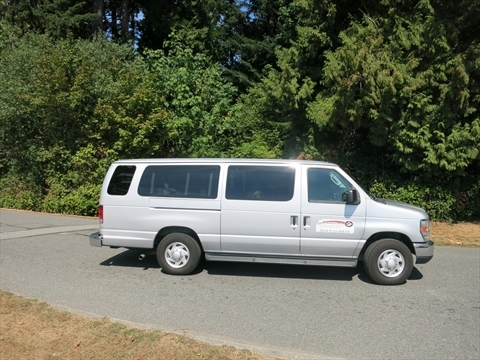 Vancouver Private Tours and Charters if you want a private tour. Alfred, your host/tour guide, is super friendly and knowledgeable. He also does tours of other parts of Vancouver, the North Shore, Victoria and Butchart Gardens, and Whistler. Tours can be in English, French, Dutch, and German languages. Rockwood Adventures also does Stanley Park tours. These also specialize in tours to less known attractions in North Vancouver with an emphasis on eco-tourism, food, and wine! If the above tour companies cannot accomodate you or you want tours in different languages, we suggest that you contact the Canadian Tour Guide Association of British Columbia. They are the local association of tour guides. Contact them with your specific requirements and they will try to find a tour guide for you!